Forrester predicts that more than 50% of global enterprises will be parts of their enterprises will run from the cloud, if not the entire company. Talking specifically of the supply chain industry which is transaction based, cloud migration is bound to give massive gains in terms of cost, scaling up and down depending on season and demand, being highly available without downtime to customers and recovering from disasters of the worst kinds within a time frame of 15 minutes. The likes of Amazon have set the bar high when it comes to delivering to the customers within a very short span of time. Having a solid IT infrastructure is one of the basics that a supply chain should get right to meet customer expectations. The following is the story on Sunland logistics, a 3PL that serves its e-commerce customers at scale, took the decision to move to the cloud as it was obvious to them that having a cloud infrastructure would give them competitive edge and most importantly satisfy their customers. Sunland Logistics Solutions is a third party logistics provider (3PL) specializing in warehousing and value-added services with expertise in automotive, retail, e-commerce, chemical, and paper. Headquartered in Upstate South Carolina since 1982, Sunland operates over 2.5 million square feet across the Southeast and Midwest and is growing into a national provider, Sunland decided that IT would be their key differentiator and decided to be an industry leader for innovation in IT. The industry itself was beginning to lean on IT on a scale never seen before. From having the entire infrastructure on the cloud to bots doing inventory counts. To realize their vision of being an industry leader in IT, Sunland hired ByteAlly as their IT partner. We are responsible for their IT infrastructure, EDI development services, custom dashboards and develop any other software solutions they might need. As part of several steps that had to be taken to transform Sunland’s IT, Hari Sivaprakasam, COO of Sunland, under whom IT department reports, decided to first take Sunland to the cloud. All of Sunland’s IT infrastructure was running from physical machines on premise. This was limiting in many ways for the company’s daily operations and vision to scale up as a national player. There are tons of articles out there explaining the advantages of moving to the cloud over the years and we won’t be discussing that in detail, but the following are some of the biggest pain points. Out of all the disadvantages listed above, the thing that hurt Sunland the biggest, was scaling up their processing capacity during peak hours. They were growing in terms of customers, number of transactions and the systems slowed down affecting operations. We considered AWS, Azure, Google Cloud as the front-runners and all of them provided the cloud services we needed to achieve our goals but we went with Azure for the reason that, Sunland’s ecosystem is dominated by Windows platform. From Active directory to the web servers to their WMS systems. Azure was a well integrated service with the Windows platform in terms of their support. There has been multiple instances already where Azure’s support helped us in troubleshooting Windows OS related issues. A very high availability is an inherent feature of a cloud infrastructure. The servers are being maintained by Azure (or your preferred cloud service). By that, we mean, from applying important security patches to maintaining the hardware to ensuring the server’s availability. There is a lot that goes behind the scenes. This also means you save thousands of dollars by not doing them yourself. Sunland has three major WMS systems plus a whole lot of softwares and services that would see in a 3PL. These systems, atleast most of them had an application layer with a database layer behind it. We had separate server for the application layer and separate server for the database layer. The way to ensure these two layers are available differs. For application servers, we set-up secondary application servers by taking VM image backup of the primary server and restoring them. These servers are in stopped state until we need them. You can use the “availability set” feature on Azure to ensure Azure doesn’t maintain/stop both your primary and secondary server at the same time. When two servers are in a single availability set, Azure ensures that atleast one of them is available during a maintenance. You can read more about it here. Just because your server is healthy, doesn’t mean that your database is healthy and available. There are lot of cases where this could happen. We setup “Always On Availability Groups (SQL Server)” to ensure the database layer is available. The Always On availability groups feature is a high-availability introduced in SQL Server 2012 (11.x). What happens in short is, when your primary database server goes down for some reason, the cluster fails over to your secondary server. An availability group supports a set of read-write primary databases and one to eight sets of corresponding secondary databases. Optionally, secondary databases can be made available for read-only access and/or some backup operations. Sunland was constantly growing and the on-premise setup could not live up to the growth. Increasing processing capacity during peak operation hours became a huge problem. We wanted the ability to add new servers to balance the load (horizontal scaling), increase a server’s processing capacity (vertical scaling) if the server is loaded with traffic or down-size the server to cut cost if its under-utilized. With Azure and most cloud providers, you can scale easily with a matter of few clicks. 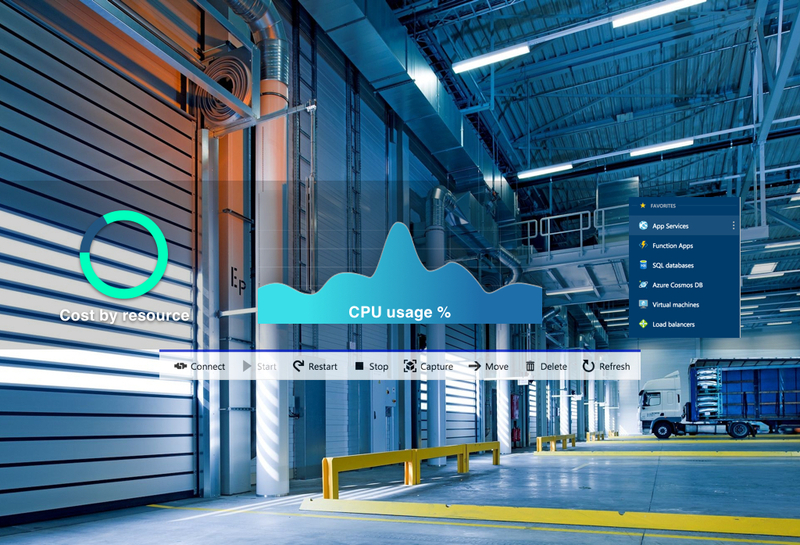 To cite an example, one of Sunland’s Warehouse management software was facing peak traffic and the server was running at 90% CPU. This was the system used by 60% of their customers and a slow server means huge impact on operation cost. But thanks to cloud, we were able to double the capacity during lunch break within 15 minutes. We doubled the capacity of the CPU and the RAM with just few clicks inside the Azure portal. Had it been an on-premise setup, this might have taken hours. Sunland is growing as a national player and going on Azure gave us the ability spawn servers and networks across different regions close the customers and also warehouses distributed across the U.S. Sunland has 9 warehouses across the country. This will ensure that latency is not a concern. With the older on-premise setup, Sunland employees were remote desktoping into the servers to access their WMS systems since two of their WMS systems were Windows Desktop applications and not web application. This was way too risky and open. We published these systems as RemoteApps. This way the user does not have to Remote desktop into the server to access their systems. Anti-virus – Not only did we want to cover our servers on the cloud, we wanted to protect the laptops and desktops of all the employees at Sunland. Clint Spicer, Sunland’s IT Manager, spent a lot of time narrowing down the options for a good anti-virus solution and chose Cylance as the anti-virus software. It is easy to setup on new servers or machines joining our network, it can monitors files across the entire network proactively and uses AI to learn the different shapes of malicious files out there. CylancePROTECT product — is predicting how malware, zero-day attacks, and other cyberthreats can attack networks, and then heading them off at the pass, “eliminating the need for individual security teams to analyze and develop expertise in defending against each new cyberattack.” You can read more on Cylance here. The measures we have listed are some of the steps we took. We would recommend that you read Azure’s best practices for security. Servers should be disposable and we should be in a position to spawn a new copy of any given setup in minutes. This was one of the design principles we had adopted. Given this setup, even with an attack of the worst kind, Sunland can recover within a matter of few minutes. Because of the fact that our customer is a logistical company responsible for thousands of shipments in a given day and the operations relied heavily on IT systems, we had to absolutely careful in ensuring we did not disrupt the operations during migration. The project is a success and we are listing down some of the thumb-rules we followed.